After spending pretty well my entire adult life in some facet of my industry, it becomes amazing to me to find pole barn ignorance. Other than recent immigrants to our country, and maybe those who have never traveled outside of urban areas most everyone should have some inkling as to what a pole barn or post frame building can be. Even more astounding to me – when a contractor and designer appear to have very little grasp of “pole barn” construction. “Phil Sweet, a contractor and designer in Waitsfield, planned the barn raising, and designed a barn based off the design of a pole barn. “Technically, a pole barn would probably be put onto bare land,” and they’re built by using salvage lumber such as old telephone poles, Sweet said. Instead, Rosina’s new barn has both a literal and metaphorical foundation — it’s built atop the concrete foundation her grandfather had put in two generations ago, Sweet said. “She wanted to incorporate those historic elements that were still there, and that’s what we did,” he said. Our modern pole building industry wouldn’t consider using of salvage lumber or old telephone poles unless they were being used to satisfy some aesthetic needs of a client. 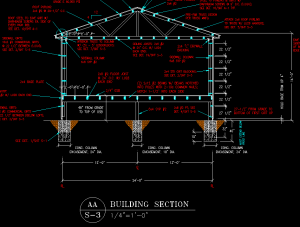 This entry was posted in Pole Barn Design, Building Styles and Designs, Pole Barn Planning, Pole Barn Structure and tagged slab on grade, girders, piers, masonry walls on November 6, 2018 by admin. Three months after Hurricane Harvey churned through Texas, dumping 51 inches of rain and damaging an estimated 150,000 homes, the state’s most populous county took a bureaucratic step which has huge implications for how it will deal with the risk of future flooding. On December 5, Harris County, which surrounds the City of Houston, approved an overhaul of its flood rules expanding them from 100-year floodplains—which have a one percent change of flooding in a given year—to 500-year floodplains. The new rules (which don’t apply inside Houston city limits) will compel people building houses in some areas to elevate them up to eight feet higher than before. “We had 30,000 houses that flooded” from Harvey, said county engineer John Blount, who put forward the rule changes. Before the floodwaters even subsided, hundreds of county employees fanned out to survey the damage. “We went to every one of those houses and figured out how much water got in them, and then we did a statistical analysis,” Blount said. For a structure, standing water is a fearsome enemy. Even a small amount of flooding in a home can exile its inhabitants for weeks and require costly repairs. After Harvey, tens of thousands of evacuees lived in hotels or with friends as workers in their homes tore out drywall to prevent the spread of mold, which can sicken residents. And more Harveys are coming: As Robinson Meyer reported, a new MIT study concludes Harvey-scale flooding in Texas is six times as likely now as it was in the late 20th century, and will only get more likely as this century wears on. More than a million people live in the 100- and 500-year flood zones across the Houston area, and hundreds of thousands more do in other U.S. cities, including Miami and New York. Harris County’s move conforms with the advice of building engineers, climate experts, and the insurance industry. If you live in an area which is prone to flooding—or will be soon—getting off the ground is the best way to avoid recurring, expensive, and heart-rending damage to your house. “There’s no real substitute for elevation. That’s your best bet,” said Tim Reinhold, senior vice president and chief engineer of the Insurance Institute for Business and Home Safety (IBHS), a research organization based in Tampa and funded by insurers. Houses don’t have an engineered safety margin for avoiding flooding the way they do for wind resistance, Reinhold points out; even a few inches of water can be devastating. His advice: “Build that margin in by going higher.” The IBHS recommends elevating houses three or more feet above the 100-year floodplain. Yet three feet is nowhere near standard. The City of Houston requires one foot of elevation above the 100-year floodplain. Many jurisdictions in Texas and other states require none. What seems like a simple, obvious safeguard raises tricky questions: How high is high enough? Who has to pay for it? And at what point does it no longer make sense to build in a place at all? Nationwide, according to Census data, 59 percent of new single-family homes are “slab-on-grade,” as it’s known in the construction industry. The technique is pretty much what it sounds like: Concrete is poured into a mold set shallowly into the ground, forming a slab several inches thick. Because a ground freeze can crack the slab, the method is mainly used in warmer climates. It’s straightforward and cheap. But it results in a house with a low elevation, which is obviously not ideal in a flood zone. “I don’t understand why you would ever build a house on a slab on grade that could be in a flood-prone area,” Barcik said. 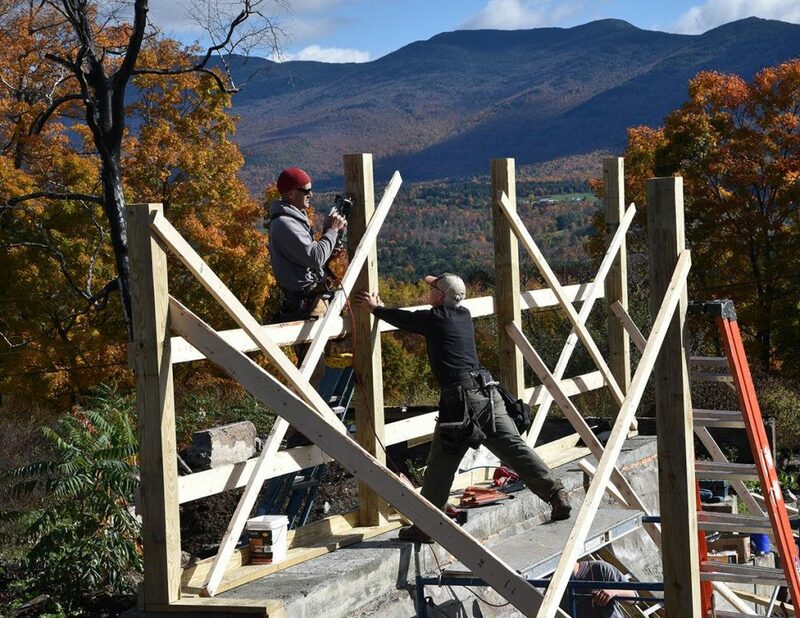 Building a house with a raised foundation isn’t cheap. “If you’re starting with a home that’s slab-on-grade right now, and want to raise it by using fill, it could be $13,000 to $14,000 to do that just one foot,” said Gary Ehrlich, the director of construction codes and standards for the National Association of Home Builders. The fill method—trucking in soil and resting the slab on top of it—is cheaper than the pier-and-beam or stem-wall options. But it’s not adequate for raising a house’s height by several feet. The eight-foot-elevated homes now required in parts of Harris County would carry significant added costs, which builders would pass on to homebuyers. 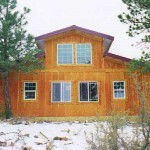 However, elevating a post frame home, even as much as eight feet, is a negligible investment compared to the costs of stick frame construction. 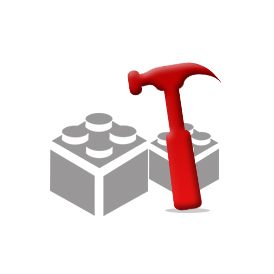 Considering constructing a new home? 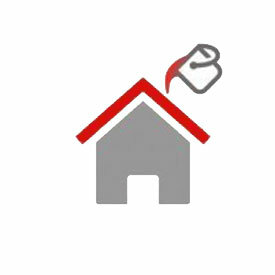 If so, look towards post frame construction as an affordable design solution. This entry was posted in Pole Barn Design, Building Department, Pole Barn Planning, Concrete, Pole Barn Homes and tagged Post Frame Home, Hurricane Harvey, slab on grade, 500 year flood zone, Insurance Institute for Business and Home Safety on March 2, 2018 by admin. Can I Build a Pole Barn on my Concrete Slab? 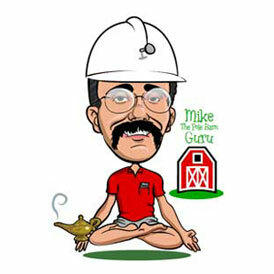 I dove off from the turnip truck a long time ago, so I have seen a lot of strange things constructed over my nearly 60 year lifetime. Sometimes strange is good, usually not so good. What is remarkable are the structures which are constructed directly upon nothing more than a four inch thick concrete slab on grade. 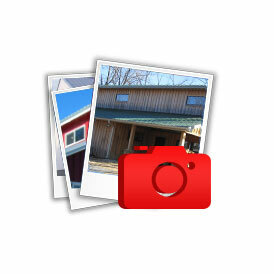 This includes post frame (pole barn) buildings. 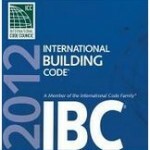 To begin with, in my humble opinion, just because one is going to build where there happen to be no inspection requirements does not mean one should exclude themselves from following the Building Codes. The Building Codes are only put into place after exhaustive discussions between construction professionals, Building Code officials, engineers, architects and product manufacturers. The Codes are perpetually changing, as new and better products arrive on the marketplace, practices are refined and more research is done into how buildings and materials perform. While no snow may fall where your building will be located, one must still consider provisions for Code minimum loadings on the roof and the members below which carry them, including the concrete slab. Assuming a fairly standard roof overhang of say a foot, this leaves the perimeter of the slab being required to carry a load of over 13 tons! Using typical post frame construction, the point load at any one column could be over 4000 pounds, which could easily fracture just a slab on grade. Standard post base brackets which you may see at your local hardware or big box store are not adequate to carry the loads to even an adequate concrete slab. I would use a concrete saw to cut out two foot by two foot squares at each column location, remove the concrete, auger holes as appropriately designed by the building engineer, set the columns in the hole per the plans then form and fill with premix around the top of the column to complete the slab. If using brackets is your true desire, it may be possible to excavate under the floor at each column location and thicken the floor by pouring under the slab. It can be done, however it does take some effort. 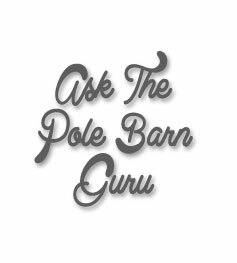 This entry was posted in Pole Barn Questions, Pole Barn Design, Building Department, Pole Building How To Guides, Concrete, Footings and tagged pole barn, building codes, slab on grade, post frame brackets on October 3, 2017 by admin.